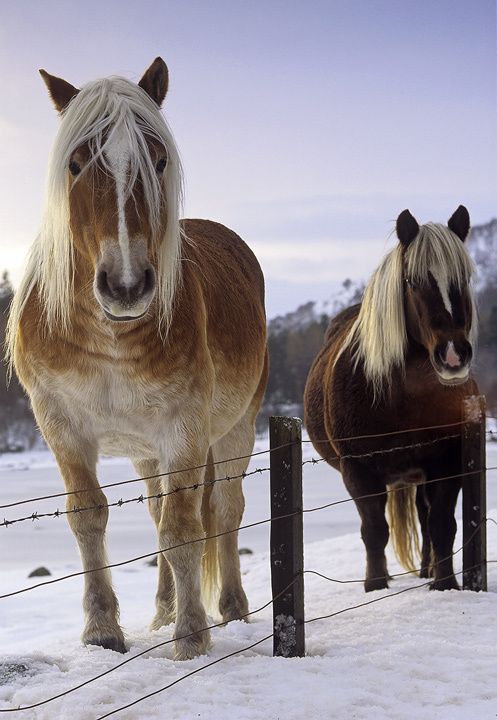 On a winters day around Loch Ness I spied these two beautiful horses one a with a rich chestnut coat and a fabulous blond mane. I initially took a shot with the horses in a wider landscape but when they saw me. The horses insisted on taking a closer look, so I duly obliged and took tighter shots. The snow proved to be the perfect modelling light with which to fill in the shadows.